Cataracts are a common vision problem for individuals older than 60. Our eye doctor in Richardson notes that they can eventually cause patients to lose some of their sights. Since a cataract often develops slowly, it is important that patients of our Richardson Eye Associates in Richardson, TX practice to see our optometrist for regular vision exams. Cataracts form when a protein buildup develops on an eye’s lens. This prevents light from passing through the lens and interferes with clear vision. Unfortunately, eye care professionals have found no way to prevent a cataract. Identified risk factors include alcohol consumption and exposure to air pollution or cigarette smoke. Some individuals develop a cataract in just one eye. Others develop them in both eyes. Sometimes each grows at a different rate. The only way to cure a cataract is to surgically remove the lens on which it is growing. Until a cataract has “ripened,” our optometrist manages the disorder by monitoring changes in its growth and in the patient’s vision. Diagnosis of this condition occurs after a comprehensive vision exam. After diagnosis, our eye doctor continues to monitor cataract growth until a patient is ready for surgery. Sometimes a cataract develops slowly and remains small, causing little loss of vision. 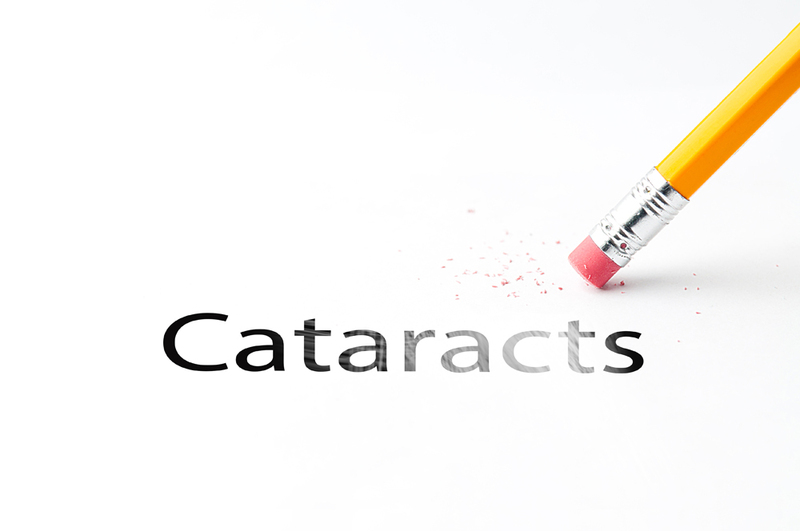 Once a cataract has reached the size where it affects vision, we recommend treating it. When it is possible to correct the patient’s vision with glasses or contact lenses, our doctor will provide a prescription. Some patients ultimately receive a referral for cataract surgery, an outpatient procedure to replace the affected lens with an artificial one. Schedule an Appointment At Our Richardson Eye Associates in Richardson, TX Today! Our Richardson Eye Associates staff is dedicated to providing each patient with the best eye care services in our area. Help protect the health of your eyes with regular vision exams from our eye doctor in Richardson, TX. Call us today at 972-231-3439 to schedule an appointment with Dr. Henry Krauss or Dr. Scott Harris.